Karen of Kaggsy’s Bookish Ramblings and Simon of Stuck in a Book are hosting another of their book clubs this week. 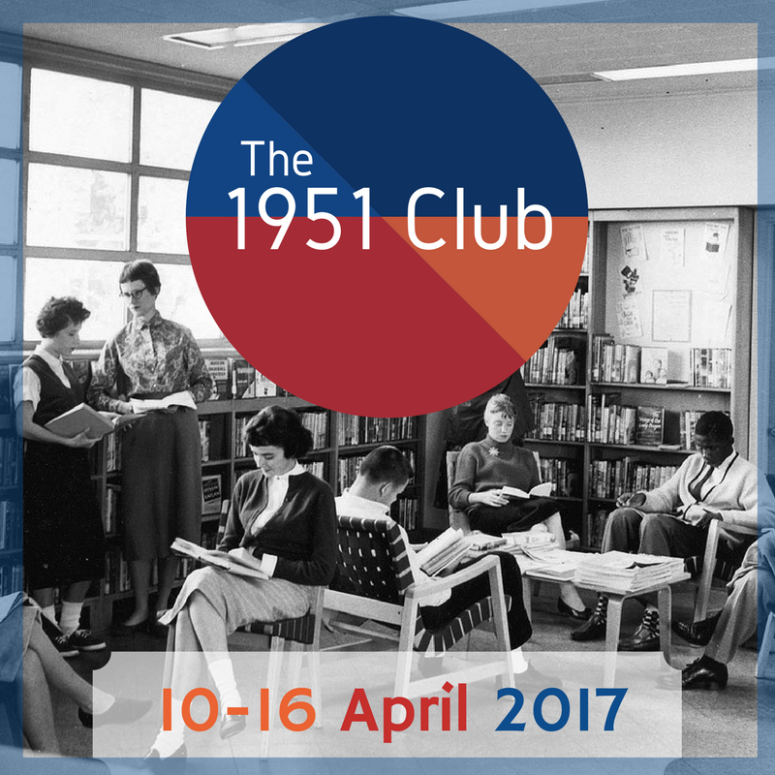 This time it’s the 1951 Club and the idea is that we all read and write about books published in the same year. 1951 seems to have been a particularly good year for publishing – I have linked to some of my previous reviews at the bottom of this post – but when choosing what to read this week it was the crime novels from that year which appealed to me the most. The first one I picked up was Georgette Heyer’s Duplicate Death. Heyer is better known for her Regency romances, but she also wrote mysteries and, having read two of them (Envious Casca and Footsteps in the Dark), I’ve been looking forward to reading more. Duplicate Death brings back characters who first appeared in They Found Him Dead, which I haven’t read yet but will eventually. Although a few references are made to things which I assume happened in the earlier novel, I don’t feel that reading this one first was a problem. At the beginning of the novel, Jim Kane receives a letter from his mother telling him of her concerns about his half-brother, Timothy, who has just become engaged to Beulah Birtley, a secretary in the household of the wealthy Mrs Haddington. Jim’s mother is unhappy because she has been able to discover nothing at all about Beulah’s family or background – surely the girl must be an Adventuress! Reluctantly, Jim agrees to visit Timothy to see if he can shed any light on the matter. Meanwhile, Mrs Haddington is hosting a bridge party at her home in London. When one of the guests is found strangled after leaving the room to answer the telephone, suspicion falls on several of the people present at the party, including the mysterious Beulah Birtley. Chief Inspector Hemingway of Scotland Yard is called in to investigate, but before he’s had time to solve one murder, another takes place. The second murder appears to be identical to the first – but is it? Have both crimes been committed by the same person? And what is Beulah’s secret? I enjoyed this book, after a slow start, but not as much as the other Heyer mysteries I’ve read. I felt that the story took too long to really get started; I appreciate that some time needs to be spent on setting the scene, but the characters just didn’t interest me enough to hold my attention throughout the build-up. With the exception of Timothy, they’re an unpleasant bunch of people – and although there are still examples of the witty dialogue Heyer is so good at, I think she does it much better in the Regencies than the mysteries. Once the first murder was committed and Hemingway arrived on the scene, though, the story became a lot more compelling. I said in my Envious Casca review that, as far as literary detectives go, Hemingway is not a very interesting one. This time I found that I liked him more than I did before. I liked his brisk, no-nonsense attitude and the fact that he doesn’t have any little quirks or eccentricities; instead of bringing too much of his own personality to the investigations, he just gets on with the job, which is actually quite refreshing. His relationship with his assistant, Inspector Grant, works well, although I’m not sure that having Grant returning from his trip home to Scotland speaking Gaelic was really as funny as it was obviously intended to be! I’m now reading a second book from 1951 – They Came to Baghdad by Agatha Christie – and hope to post my thoughts on that one before the end of the club. I think the only book I’ve read in the past several years which was published in 1951 was The End of the Affair by Graham Green – I read it back in 2012. I’d be interested in reading My Cousin Rachel by Daphne DuMaurier or The Rebel by Camus or A Dance to the Music of Time by Anthony Powell, perhaps – A Game of Hide and Seek by Elizabeth Taylor? My Cousin Rachel is one of my favourite Daphne du Maurier books so I would definitely recommend reading that one. Of the other titles you’ve mentioned, the only ones I’ve read are The Daughter of Time and The Catcher in the Rye. I had considered reading the Graham Greene and Elizabeth Taylor books for the 1951 Club this week, but I ended up choosing two crime novels instead. My Cousin Rachel is now on my wish list! I don’t think these Georgette Heyer mysteries are difficult to guess, but they are fun. I like her mysteries, although this one wasn’t as much fun as the other two I’ve read. I’ve only read one of Heyer’s mysteries, Behold, Here’s Poison. It was pretty good but I remember actually writing down a chart of all the characters and their relationships so I could keep it all straight. It was pretty good but nowhere near Agatha Christie. I might also read They Came to Baghdad this week. I read School of Love by Olivia Manning for the 1951 Club. I’ve also read The End of the Affair, Daughter of Time, and My Cousin Rachel, all of which were excellent. I’ve enjoyed all three of the Heyer mysteries I’ve read, but they certainly don’t come close to Agatha Christie’s. Making a chart of the characters sounds like good advice when I get round to reading Behold, Here’s Poison! It wasn’t a bad book, but not as much fun as the other two Heyer mysteries I’ve read. I’ve always meant to read a Heyer mystery or two but never got round to it! Sounds as if the quality varies – but hope you’re enjoying the Christie! 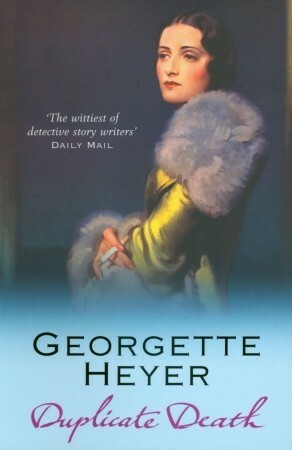 Yes, I really like the new covers of Georgette Heyer’s detective novels!